Just a quick vector to kick off December. This is the vector I used in my new userpage layout, except I used the blue version there (which will not be made available to public, yet). I plan to do a lot of vectoring (yes, vectoring, abul-kun >:D) this December; the list is on my userpage. Ah~ Well I'm not a huge Bleach fan or anything (haven't seen enough) but this pic of Rukia is so adorable and perfect for what I wanted for my userpage. It was a one-night vector. Original scan had some text on it, wasn't hard to reconstruct. Hardest part was colouring the earmuffs because part of it is in front of the outline, while part of it is behind. It's called Winter Solstice because that's when I originally planned to change my layout (Dec. 22) and it's the first day of winter. But according to the scenery outside my window, it's already winter. the lines are just tooo awesome! Woah! 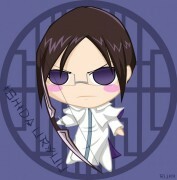 I love this pic of Rukia. 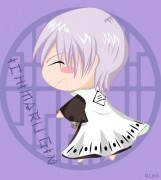 Another great vector Ash! oh gosh ! i love the colors! yeah! wow! 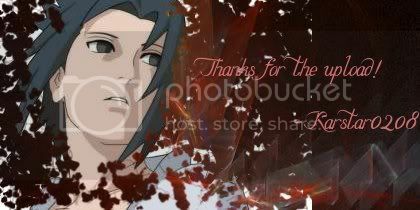 i really like this pic but u didnt have to make the pic to big! omg so awesome! Great job as always! Absoulutely good work there, ASH. Can see your hard work got paid off well! 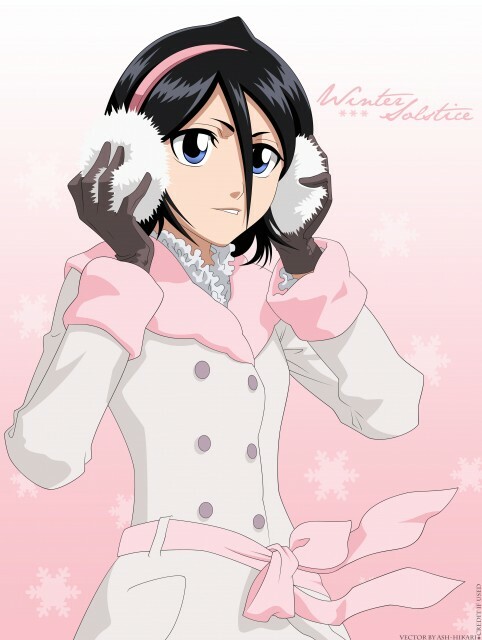 Wow!Rukia is so beautiful!I love it! Heh, good stuff. I like how many outfits that Rukia can be thrown into and she always comes out cute.